1 3/8 " (35MM) Wide. Handcrafted leather. Micro-adjustable for 32 different fits with a ratcheting track system. 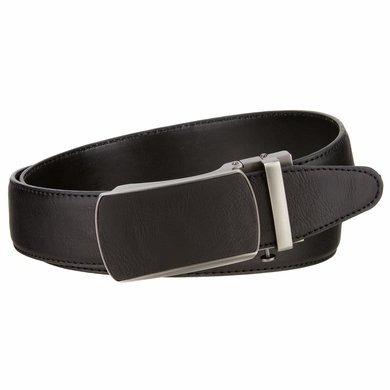 Matching leather and gunmetal style buckle with a loop and a quick release for the strap.